Brand Finance published a report (via Business Insider) about the most valuable brands in the Nordics region. Not surprisingly, among brands like IKEA, H&M, Lego and others, Nokia also found its place. In fact, Nokia took this year’s title as the brand with the highest growth of brand value over the last year. An increase of astonishing 70% compared to 2017. Brand Finance reports brand value for the current year, so the report that measured performance in 2017, is the 2018 brand value. In 2018, Nokia’s brand value starts at 8.4 billion dollars. 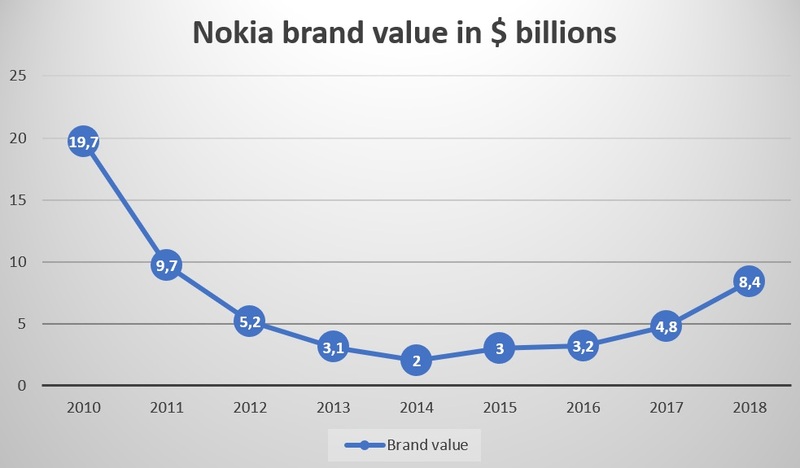 I did a little graph of Nokia’s brand value over time since 2010, according to Brand Finance, that you can check down below. For accuracy sake, have to say that some data for the previous years was in euros, so I used the currency exchange rate for that year to convert it to dollars so some deviations in Year-on-year growth percentages are possible. Also, it’s good to note that different companies differently value a brand. An other brand analyst could put the Nokia brand for 2018 value at 10 or 12 billion, but more importantly is how the value compares to previous years. There is also a thing called enterprise value, and an index that puts brand value and enterprise value in ratio, but such data wasn’t made public, as far as I am aware, about the Nokia brand in 2018. Brand Finance recently published a report about 500 top brands in the world, where Nokia brand jumped from place 335 to 188 – a jump of almost 150 places over a course of a year. If you’re wondering what caused Nokia brand’s value to increase, the answer is definitely 5G and phones. Brand recognition is a strong reason why Nokia organized a return to the mobile market in first place, because with a strong brand you can enter different markets successfully. Look what Apple did with the Apple Watch or how well the Apple HomePod is received. 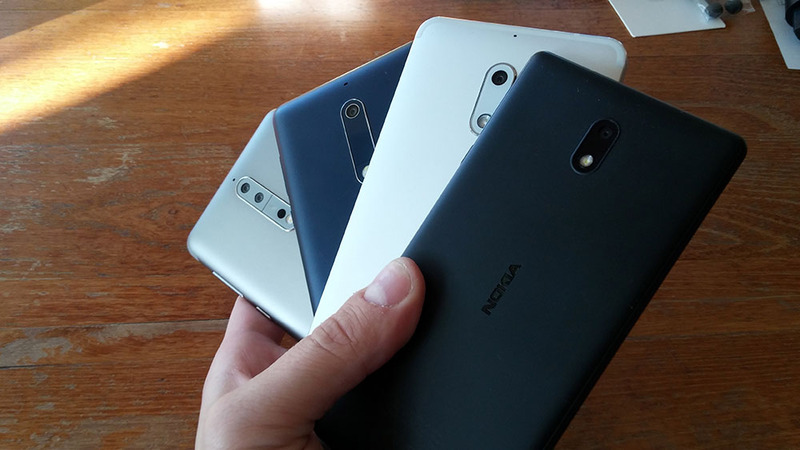 HMD Global shipped almost 68 million devices in 2017 that have the Nokia brand on the front and the back. As the shipments increase, and the 5G era dawns, Nokia’s brand value is set to rise. Especially if they make a stronger push into digital health in 2018.